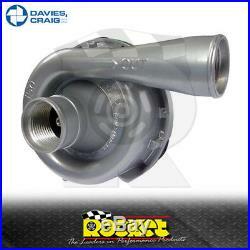 Davies Craig EWP150 Aluminium 150L/min Electric Water Pump Kit - DC8060. Aluminium Electric Water Pump - 150 Litres/Min Suit Engines 6-8 Cyl 400+ HP & Heavy Duty 4WD's. The EWP150 Alloy Electric Water Pump - univresal fit, do-it-yourself, easy to install water pump designed to replace or compliment your existing belt-driven mechanical water pump. By removing the parasitic power losses of a belt-driven water pump the EWP can provide up to 10kW of extra power, increased torque, increased cooling capacity, eliminating heat soak and provide better engine temperature control. Rocket Industries Pty Ltd ships goods Internationally and Australia wide. Under no circumstances will parcels be left unattended or without a signature from the receiver. Bank Transfer Below is our bank transfer details. The item is in re-saleable condition, meaning that: (a) It is in its original clean packaging, including instruction manuals and all accessories. (b) It is unopened, unused and in its original condition. Please make sure you have all the above paperwork attached to the goods so there are no delays in processing the return. Goods that are short supplied must be referred to Rocket within 7 days of receipt. Monday to Friday: 8.00am - 5.30pm Saturday: 8.00am - 1.00pm. Rocket Industries is the largest distributor of performance products and accessories in Australia, stocking over 300 leading brands of performance parts & accessories. With brands such as Aeroflow, Autometer, B&M, Edelbrock, K&N, Mickey Thompson, MSD, Comp Cams, Simpson, JE, SRP, Weld Racing and more. We are serious about supplying you with reliability of stock and the right parts, right when you need them. Our depth of knowledge and understanding of the performance industry reflects in the pride and winning attitude of our team at Rocket. We are a genuine warehouse distributor which has been in operation for more than 30 years, stocking products from over 300 leading manufacturers from around the world. We have established supply chains from overseas which enable fast and reliable service with part sourcing without all the headaches and hidden charges. We are constantly improving customer service and investigating new products to help you keep pace with, and be competitive in the ever changing automotive market. Each individual at Rocket has a genuine passion for motorsport with many staff members have their own street machine, hot rod or race vehicle, or are pit crew associated with a team. Rocket Headquarters in Huntingwood, NSW (Australia). The Leaders in Performance Products. 30+ Years Specialist Importer of USA Brands. Rocket Industries is the largest distributor of performance products and accessories in Australia, stocking over 300 leading brands of performance gear. The item "Davies Craig EWP150 Aluminium 150L/min Electric Water Pump Kit DC8060" is in sale since Monday, May 22, 2017. 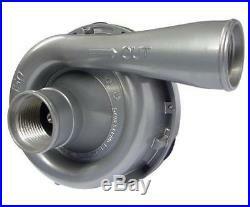 This item is in the category "Vehicle Parts & Accessories\Car & Truck Parts\Cooling Systems\Water Pumps". The seller is "rocketind" and is located in HUNTINGWOOD. This item can be shipped worldwide.